All our racks corner pillars are made with hallow aluminium in order for the user to fill these with sand. The sand will make the sound less clinical and more interesting. The base will become more full-bodied and warm and you will achieve the desired live feeling. 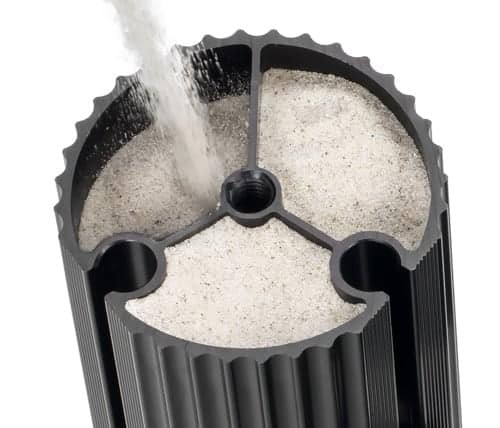 The sand should be around 0,25mm in diameter, dry and loosely packed for best performance as sand with this diameter will vibrate in such a way that it will be transformed inte heat. Full performance of our racks is achieved by combining vibration isolation and filling the corner pillars with sand.